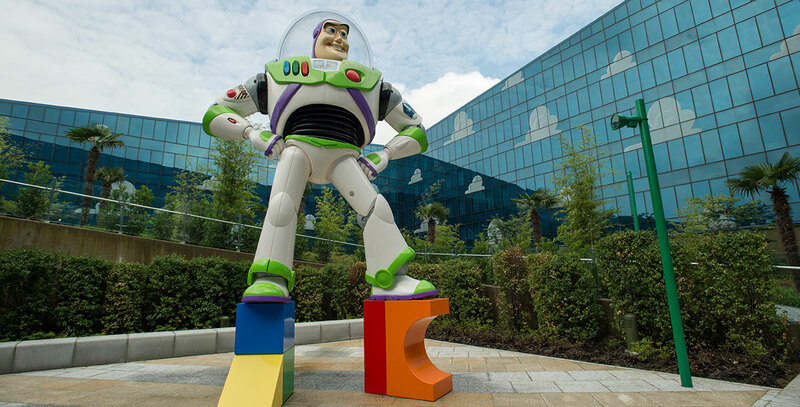 Toy Story Hotel 800-room hotel at Shanghai Disney Resort; opened June 16, 2016, with wings themed to Woody and Buzz Lightyear. Featuring the Launch Pad water play area, Play Room family activity center, and Sunnyside Café and Sunnyside Market restaurants. The hotel has a figure eight “infinity” layout; in China, the number eight is considered to be very lucky.